The defect scoring of green onions, especially identifying discolored tops from decayed tops may get a little confusing, even for experienced inspectors. 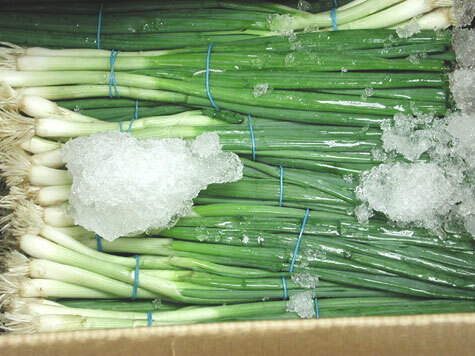 With the green onions being packed in ice, to ensure their freshness, a side effect is the watersoaked and glassy appearance caused by the melting ice. These watersoaked tops will sometimes be scored as decay. Is there a good way to tell the difference? The tops that are merely discolored may appear translucent, wilting and even wet to the touch. If when rubbing the discolored top between your fingers, the tissue does not disintegrate, or slough off, the top is only scored as being discolored. 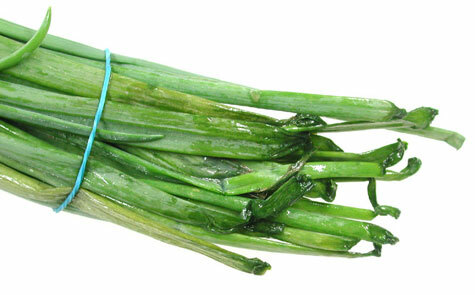 The green onion pictured above is a defect, scored a discoloration. Once you have decided to score the top as discoloration you now determine if the defect is damage (materially affecting the appearance) or serious damage (seriously affecting the appearance). The top pictured above is serious damage, by discoloration. You would count out 50 individual green onions, not bunches, and separate the defects. If you had three onions, out of 50 inspected, with serious damage by discolored tops, you would have 6%. The U.S. Grade Standard allows up to 5% for serious damage, so the onions would fail to grade. If the top is watersoaked, but sloughs off when touched or rubbed, then the top is scored as decay. 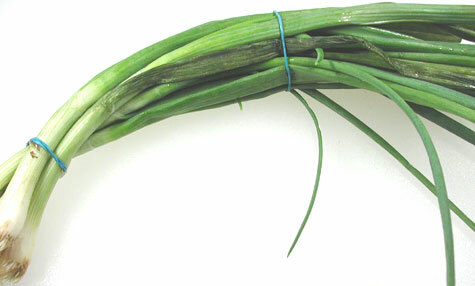 The green onion pictured above would be scored as decay, affecting the tops. The U.S. Grade Standard allows 2% for decay, so if you inspected 50 individual green onions, and 2 had decayed tops, you would have 4% decay…..failing to grade U.S. No. 1, exceeding the 2% tolerance for decay.